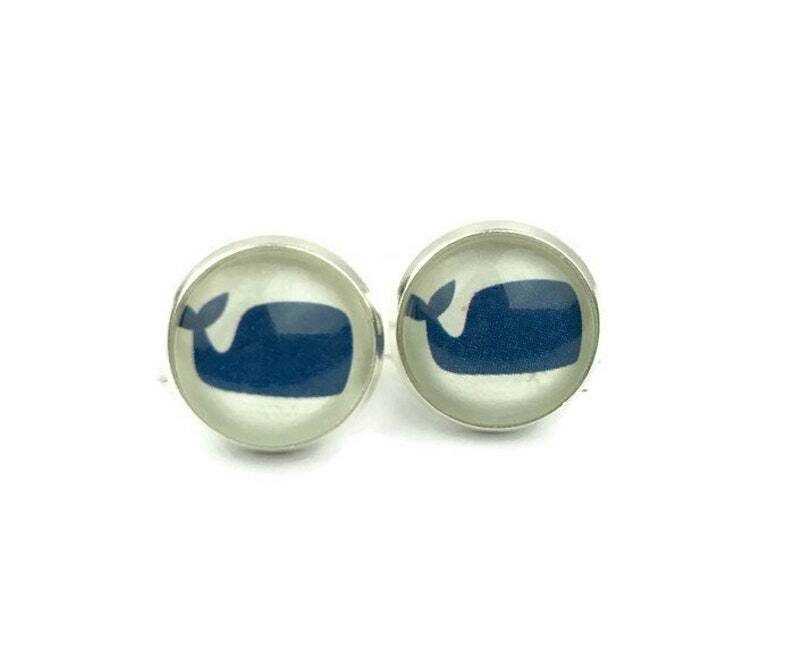 These small stud earrings feature blue whales on a white background. The image is in a shiny silver setting and is double protected with a layer of resin and a glass dome that slightly magnifies the image. The studs measure 14mm in diameter (approximately 1/2 inch). Earrings come with secure push earring backs. All jewelry is lead and nickel free. Earrings come securely wrapped and in a pretty organza bag.